Dakota flat irons are a perfect steak to cook with an indirect, slow-grilling method. This cut has a fair amount of marbling and comes from the chuck. Serve sliced. Dakota ribeye steaks are the ultimate in marbling and flavor. Salt, pepper and a quick sear on the grill and you’re done! Some say it’s the “beefiest” of all cuts. Our grass fed sirloin steaks are wonderful at medium rare off a hot grill. Try serving them sliced with garlic butter and roasted potatoes! An increasingly popular cut, known for flavor and texture. A great option for fajitas or carne asada tacos! 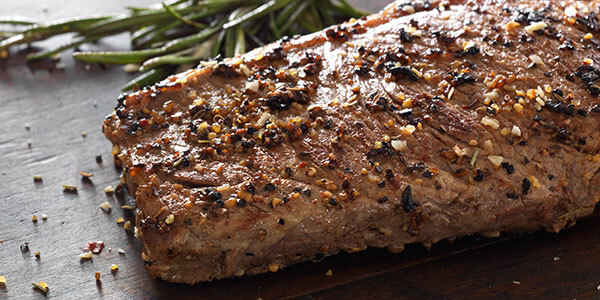 Our strip steaks have a robust flavor with exceptional tenderness. And they require minimal seasoning or preparation. Recommended for high heat grilling! Whether it’s called a tenderloin or filet mignon, you know it as the tenderest cut of beef. Our grass fed filet goes great with reduction sauces and your favorite bottle of vino.